There was an old Girl Scout song that started with “Make new friends, but keep the old, one is silver and the other gold.” I sang that song each year at camp without much thought. I was young and thought the friends I had would last forever. All of them! As I age I seem to have more time to reflect on those people who have come and gone from my life. Many of them were friends that I thought would be in my life forever and then one thing or another came between us and we drifted apart, sometimes never to be thought of again. Then there are those friends who stay forever. I once told my husband that I didn’t really trust anyone who didn’t have friends from their past. Not necessarily friends you grew up with, but friends you met along the way who stayed with you, even when you lived many miles away. There are those friends who loved and supported me even when I did or said things that made them cringe. 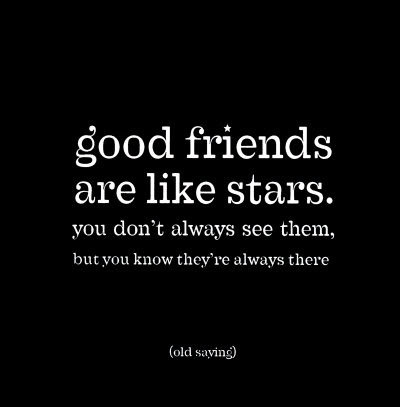 Those are the friends that I can count on. The older I get, the more comforting those friends are. We have seen each other through marriages, divorces, births, deaths, and illnesses–sometimes serious. We have laughed and cried, called in the middle of the night, or the middle of the day, and that reassuring comforting voice was on the other end of the phone line. I have taken some of these women along for the ride of, literally, a lifetime. Sometimes, I wonder if we met today, would we have anything in common since our lives have taken different paths. But that doesn’t seem to matter. What we have in common is history, long and short, and the love and support to be there for each other through everything. They all know who they are. A few years ago I serendipitously met a women who lives in Portland, Oregon where my younger son lives. She’s actually the mother and mother-in-law of friends of mine, although she and I are closer in age. I did a house swap with her so we could each visit our sons and have a little space. As time went on I ended up staying with her and she with me even when we were home. We have become friends. One night over a glass of wine she said to me, “Marsha, you are a friend that I could call in the middle of the night.” I knew exactly what she meant, I felt privileged and the feeling is mutual. We share lots with each other, but we don’t know all the details of our pasts and it doesn’t seem to matter. This past summer a dear friend’s son was married and my three lifelong friends, husbands in tow, were there to celebrate the next generation. We laughed and cried, danced, ate, drank and loved being together. When the bride’s friends asked who we were and we said we were the lifelong friends of the groom’s mother and that we, the 4 of us, had known each other for more than 50 years, they looked at us with longing hoping this would be them some day. For some of them this will probably be true. I have made new friends over the years and since my years are shorter in front of me then behind me, some of these “new” friends might be in my life until the end. One of these friends I met about 10 years ago. When we first met, I ended up staying at her house for about a week, having rented my house out without much thought of where I would stay. Her kindness and generosity gave me pause. One of the first things she shared with me was that she still sees her elementary school friends and, in fact, they still have reunions, for those who are left. That sealed the deal for me. This is a person who takes her friendships seriously. I have since stayed with her each summer for a few weeks and we stay in touch no matter where we are. She is definitely someone I could call in the middle of the night. I am lucky enough to have a wonderful sister. She shares a bond with me that no one else can have. A history that we don’t have to talk about, but we know. We can call each other anytime day and night. We are lovingly and gratefully stuck with each other. Our lives have taken different paths and that has not made a difference. She has given me the gift of her wisdom and taken mine. As we have aged we have gotten closer. We have more time to spend together now that my children are grown and she has retired. We talk on the phone as often as we can and we send, sometimes, one or two word emails. We meet up in exotic and sometimes mundane parts of the world. We don’t have to say much, we know each other’s good and bad sides, and we don’t care. We will grow old together and be there for each other until the end. This is a kind of friendship that stands separate from all the others. For the past 3 years I have lived in Korea and the friends I have are all young enough to be my children. I often forget that age gap until I talk about something, or someone, from the 50’s to the 80’s and they look at me with the same puzzlement that I look at them when they talk about more current things, like music, which I realize, I somehow stopped listening to after 1980. These women are good friends as well. Women I could call in the middle of the night, which for me could be midnight if I go to bed at 9. They would be there at the ready to listen with love and support. There is a universality about connecting to women, regardless of age. So what have I learned? I know that the 3 women I grew up with and my sister, know me like no one else and will be there for me, forever. In many ways they are my sister/friends. I can’t imagine anything coming between us. I also know that I have deep bonds with the women who have come into my life over the past 66 years. When I was young my mother had women friends that she cherished, her sister at the top of the list. She modeled for me how important women were in her life and how I should cherish my women friends knowing that they will last forever. And that is true.